David C. Thies | Webber & Thies, P.C. Estate Planning & Probate; Business Representation; Real Estate; Ag Law; Dispute Resolution. Mr. Thies concentrates his practice in the areas of estate planning & probate, real estate transactions; business representation, and dispute resolution. He also serves as a Certified Mediator within the Champaign County Circuit Court Major Civil Case Mediation Program. He has litigated, arbitrated and mediated matters throughout the State of Illinois. Mr. Thies has also previously acted as a Special Assistant Illinois Attorney General. B.A., Liberal Arts and Sciences, with Distinction in Economics, University of Illinois, 1977. While an undergraduate, he studied at the Sorbonne, Paris, France, where he was awarded the degré semestriel from the Cours de Civilisation Francaise, Sorbonne, Université de Paris. By appointment of the Illinois Supreme Court, Mr. Thies serves as a member of the Court’s Committee on Character and Fitness (4th District). Mr. Thies is a member of the Champaign County, the Illinois State and the American Bar Associations. Within the Illinois State Bar Association he currently chairs its Trusts and Estates Section Council, is a past chair of the Young Lawyers Division and now serves on the Alternate Dispute Resolution Section Council and the Special Committee on the Statute of Repose affecting the practice of law by Illinois lawyers. He was a member of its Task Force Established to Review Gender Bias within the Courts. He now serves as Chair of the Real Estate Committee of the Champaign County Bar Association. He is a member of the Eastern Illinois Estate Planning Council and is a Fellow of the American and Illinois State Bar Foundations. Mr. Thies has a Martindale-Hubbell peer review rating of AV. He was honored to receive the Champaign County Bar Association James Capel Jr. Award as outstanding Pro Bono Attorney in Champaign County for his firm’s work on behalf of the Center for Women in Transition (Courage Connection). In 2017 Thies was named a Pillar of the Champaign County Bar Association. Mr. Thies co-authored with Anna Corcoran, The Promises and Perils of Asserting the Mediation Privilege (ISBA Alternative Dispute Resolution Section Newsletter, May 2018). Mr. Thies has served as Chair or President of the Urbana Chamber of Commerce, the Greater Urbana-Champaign Economic Development Corporation, the Champaign Urbana Symphony, the University YMCA and the Champaign Rotary Club and has served on the boards of many other civic and church organizations, as well as being elected to and serving a four-year term as a member of the Champaign County Board. He now sits as an appointed member of the Champaign County Board of Health. He is currently serving as Chair of the Board of East Central Illinois Youth for Christ and is an Elder at the All Souls Presbyterian Church in Champaign-Urbana. For 14 years he served as the Teaching Leader of Bible Study Fellowship. 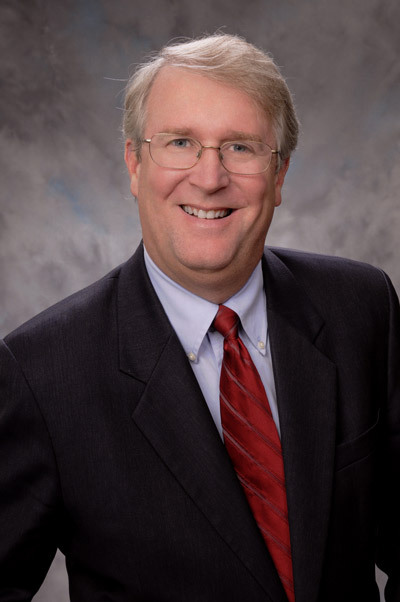 Mr. Thies is a past member of the Boards of the First Busey Corporation, Busey Bank Busey Wealth Management Company and the Busey Trust Company. David and his wife, Jodie, reside in Champaign where they have raised their four children. In addition to his other activities, David enjoys playing jazz piano at a variety of events throughout the community and state.